Combined funding of £384 million was approved this week by the City Region Deal’s Joint Committee for five projects aimed at unlocking the area’s potential to become a global leader in data driven innovation (DDI), enhancing skills and employability, expanding the region’s cultural offering and delivering a new concert hall. IMPACT Centre music and performance venue in Edinburgh, which is subject to approval by the City of Edinburgh Council’s planning committee. The Integrated Regional Employability and Skills (IRES) programme. The approved projects are the first in a series of announcements expected to total around £1.3 billion over the next 15 years. It is anticipated that the investments will generate a further £5bn worth of Gross Value Added (GVA) during the Deal’s lifespan. The £384m investment is a combination of capital and revenue funding from all partner elements of each project. The IMPACT Centre - will be the first, purpose-built performance venue in Edinburgh for 100 years. It will be a world-class venue with the very best in modern acoustics, welcoming audiences to experience all kinds of music and performance. It will be a principal, all-day Festival venue and an exciting new home for the world-renowned Scottish Chamber Orchestra. There will be a 1,000 seat auditorium and a 200 seat studio for performance, rehearsal and recording, together with a wide range of educational and outreach programmes to inspire and support both young and old. Bayes Centre - is the first of five DDI ‘hubs’ being created as part of the City Region Deal and is designed to foster closer links between industry and data analytics expertise in the City Region’s universities. 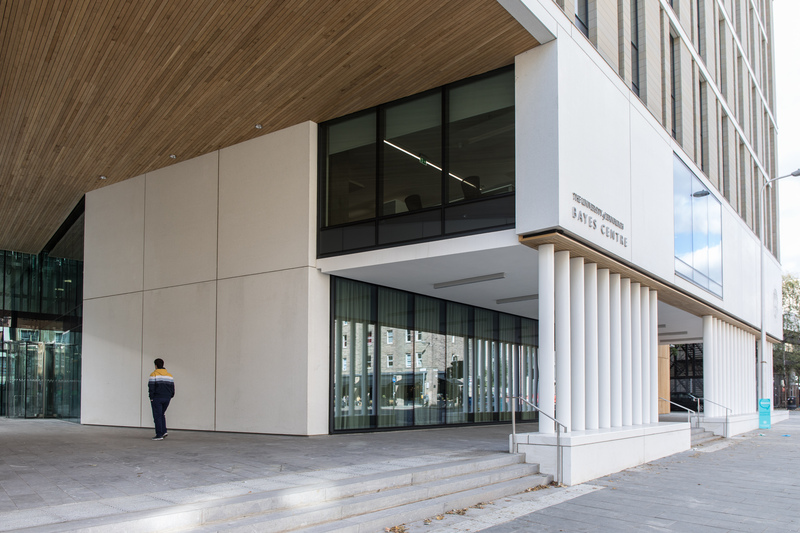 The Bayes Centre is a testbed for data-driven innovation to solve real-world problems through scientific enquiry, inspiring design and industrial collaboration with the public, private and third sectors. The National Robotarium - is an integral part of the Data Driven Innovation (DDI) theme of the Edinburgh and South East Scotland City Region Deal, delivering leading-edge research and support for business creation and growth, as well as data skills, new undergraduate and postgraduate programmes, and continuous professional development. Its vision is to create the UK’s first leading innovation hub for the practical application of robotics and autonomous systems that are transforming people’s lives world-wide. The creation of the National Robotarium is a collaboration between Heriot-Watt University and the University of Edinburgh, which aims to establish the region as the data capital of Europe – attracting investment, fuelling entrepreneurship and delivering inclusive growth. WCDI - Supporting the work of the DDI hubs, is the World-Class Data Infrastructure – a super-computer that will provide a trustworthy, secure and resilient data analytics facility, which will be unique within Europe. IRES - The IRES Programme is a cross cutting programme that is supporting the Inclusive growth ambitions of the partnership. This programme is anticipated to help an additional 5,300 people across the region into employment and deliver 14,700 skill improvements, with a focus on closing the opportunity and employment gap for our most disadvantaged sections of society. Targeted skills interventions will build workforce capacity and capability in DDI and Housing, Construction and Infrastructure sectors.